This experienced and skilled performer of North Indian music specialises in the Santoor, a romantic one hundred stringed instrument hailing from the Valleys of Kashmir. 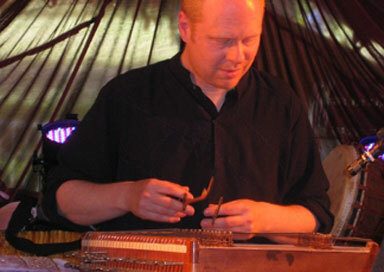 He is also an accomplished tabla player with twenty years of performing experience. His sound his rooted in the classical traditions of India, at the same time incorporating a colourful range of repertoire including Indian film and folk music. He is also known for his creative collaborations with musicians from a broad range of musical genres. Jay is available for a range of performance work including weddings and session work. Guide price is for a duo but he can be booked as a soloist for some events from £275.